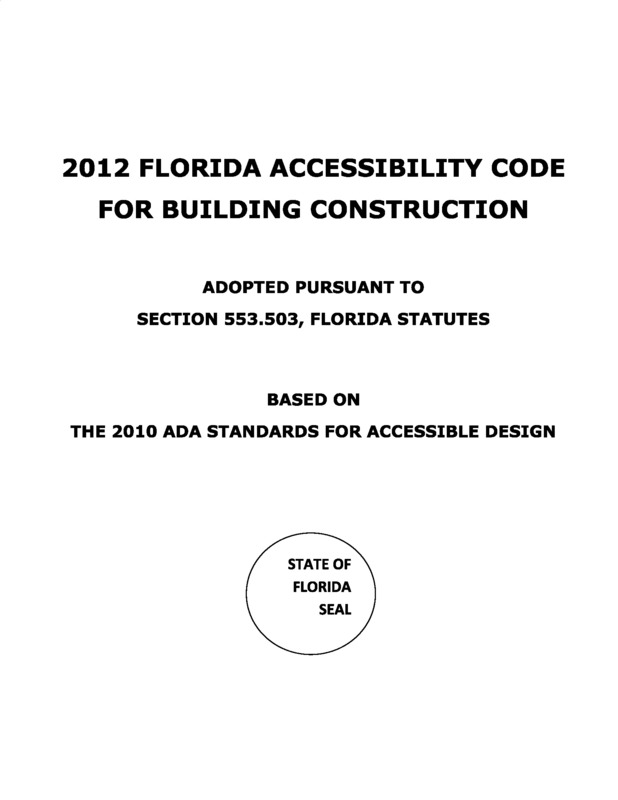 codeaccess has reformatted two sets of USDOJ's 2010 ADA regulations. 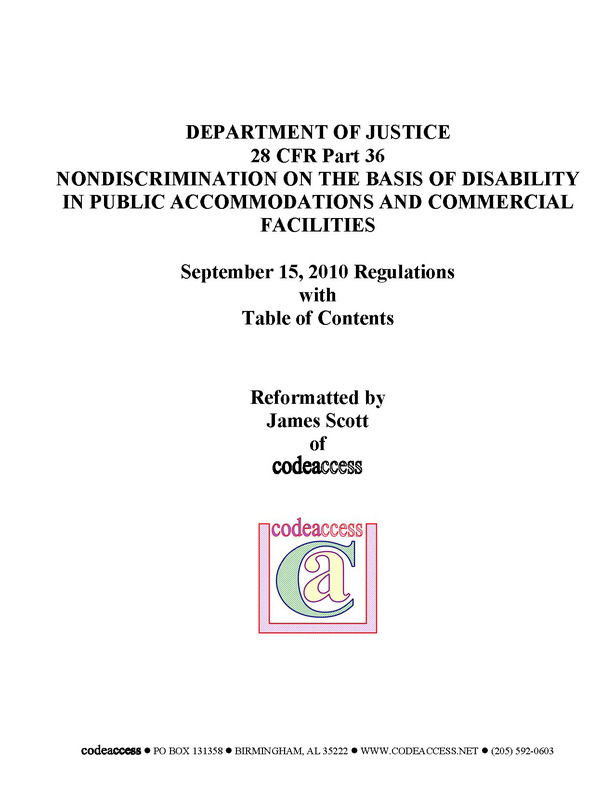 The files consist of the 2010 Title II and III USDOJ ADA Regulations with reformatting to add indentations and Tables of Contents. 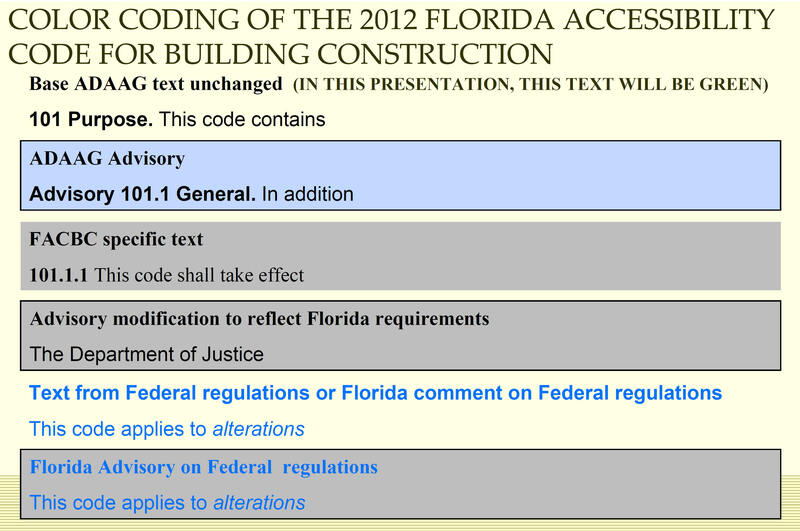 Reproduction of these documents with codeaccess formatting is permitted if the references to codeaccess remain. The formatting is subject to change. 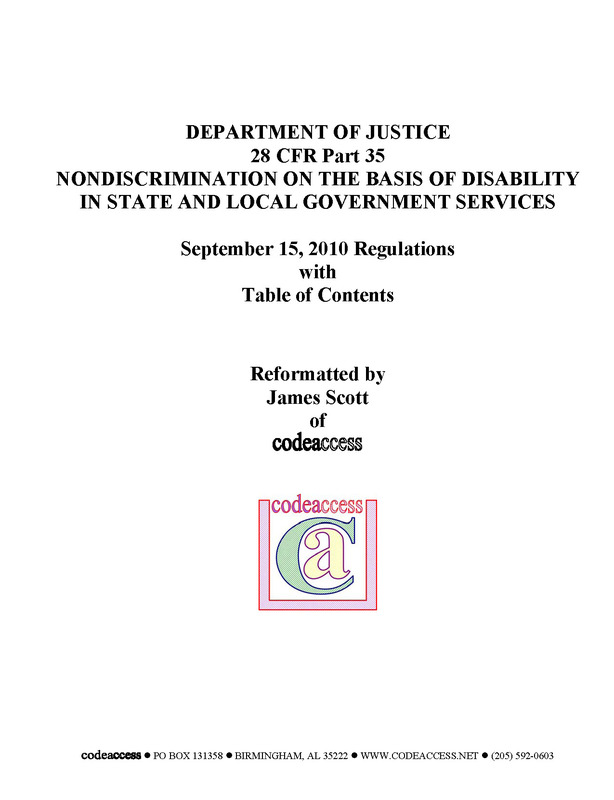 If you find any errors, please let James Scott of codeaccess know so the documents can be corrected and reposted for everyone's use.